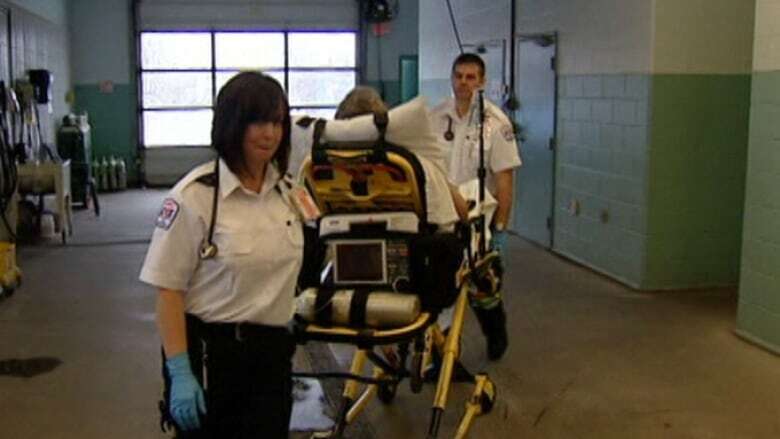 The province is defending a decision to give unionized paramedics the defined benefits pension plan they were asking for, despite objections from the company that employs them. Premier Darrell Dexter said his government told Emergency Medical Care Inc., the private company that employs Nova Scotia's paramedics, that money was available to provide them a defined benefit pension plan — a major sticking point during contract negotiations. Dexter said the NDP government believes it's reasonable for the paramedics to have such a pension plan because it exists for many other public sector workers and helps maintain a high-quality workforce. George McLellan, president and CEO of Emergency Medical Care Inc., said the defined benefits pension offered the union is fiscally irresponsible. He said, in spite of that, it was offered anyway at the direction of the province as a strike loomed. "I certainly registered my concerns but they are elected, and this is what they wanted and they said they’d assume responsibility for it," said McLellan. "In order to offer it, they would have to understand that the money was available to supply it, right?" said Dexter during a news conference. Nova Scotia's Minister of Health David Wilson , who is also a former paramedic, was questioned about his response to a Facebook posting from a paramedic made after negotiations broke off last month. The posting said that Wilson had indicated a pension plan had been approved before a tentative agreement. "I've talked to a paramedic who has indicated to me that his Facebook site was compromised and hacked and that he did not post this comment," said Wilson. Wilson accuses the Progressive Conservatives of having something to do with the post. Leader Jamie Baillie said his party had nothing to do with it. Dexter said he sees nothing wrong with how the negotiations were handled. "We said very early on it was not unreasonable for the paramedics to look forward to a defined benefit plan. It's one available to other civil servants," said Dexter. The 800 paramedics recently reached a tentative agreement with Emergency Medical Care Inc. and the International Union of Operating Engineers that represents them is recommending the deal. Emergency Medical Care Inc. said the province would pay for the new pension plan but Dexter said he couldn't provide a figure on what it would cost the province. A defined benefit pension requires an employer to meet a defined payment to retirees. Paramedics are expected to vote on the contract Saturday.